The Owner has lots of recent Updates, New Roof, New C/air, paint, new garage siding & Roof, 100 amp elec. box updated 2010, 2011 Gas Water Heater, and more. Worth taking a look at. Lot size 127&apos; x 140&apos;. 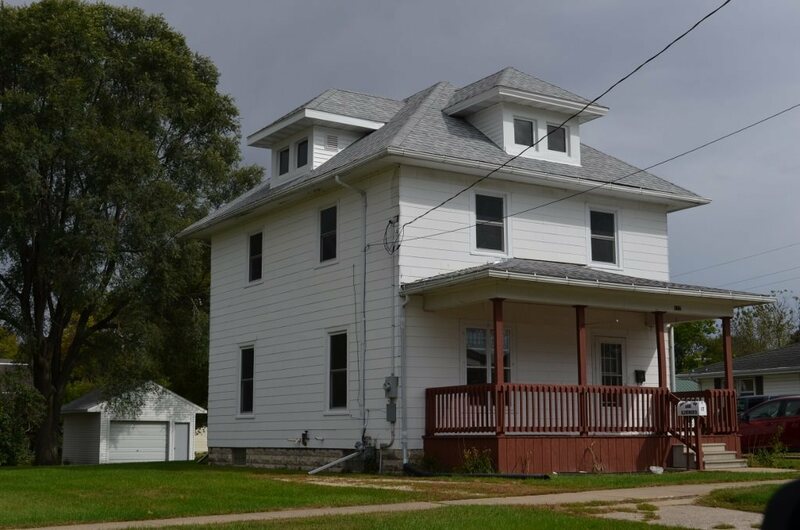 Home has 1, 440 sq ft, Large living room/formal dining room, open staircase, French doors, 3 bedrooms/1 bath up, 3/4 bath in basmnt, open/covered front porch, Otter Creek behind it (HOUSE Not in flood plains, Det Garage is half in. ).